Agartala, May 29 : The Tripura Bamboo Mission (TBM) has undertaken packaging of shoots for a palatable dish in star hotels of India and abroad. In the integrated development of the bamboo sector to ensure employment generation and economic development based on available resources, the business of bamboo shoots has great potential, TBM officials said on Monday. 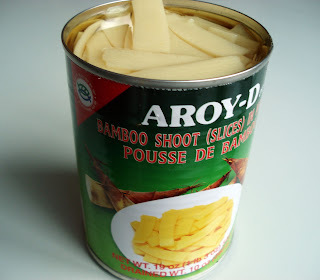 Referring to market opportunity for bamboo shoots, industries and commerce minister Jitendra Chowdhury said the mission is in the process of putting in place an effective collection mechanism from the field and linking it to a storage and bulk packaging facility can open up market opportunities. To begin with, a small-scale production facility may be set up that calls for an investment of Rs 35,000 towards equipment that can function from a room at a home location. This system of production will deploy basic cleaning, cutting, and bulk packaging facility. "These bulk packs can be shipped out to food processing units in other parts of the country through a consolidator's intervention assuming a margin of Rs 5-6 a kg that can be achieved through this route," added Chowdhury. The second production mechanism could be a scaled up facility capable of processing 40 MT of shoots given the 90-day duration for the harvesting season where processing of other fruits would help justify a larger investment. A bamboo shoot processing unit is already operational in Agartala and is selling products under a brand name in which NERAMAC is also involved through its distribution efforts. In any case, it makes sense to establish a formalized collection system to feed the existing unit in Agartala. This would call for storage and a network system of procurement at the community level connected to a manufacturer.